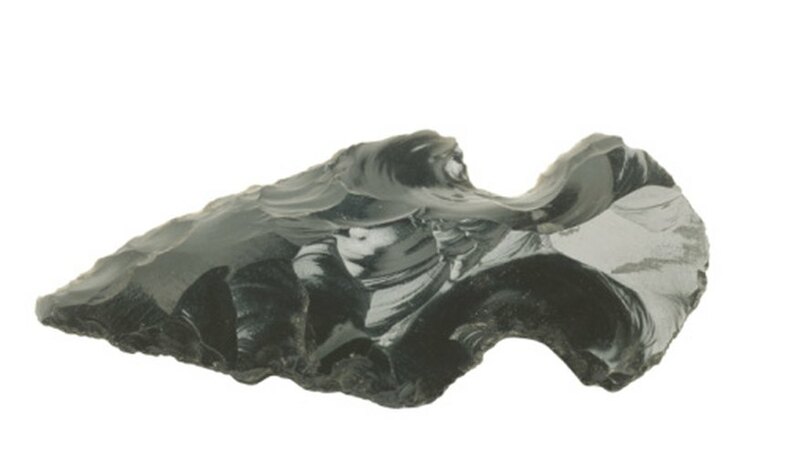 Hundreds of types of stones can be employed in flint knapping, each with their own virtues and flaws. The flints -- chert, chalcedony and agate -- are popular because their molecular geometry makes them microcrystaline and non-planar. The absence of natural fracture points causes the fractures created by the knapper to form the characteristic half cone flakes of a naturally serrated edge. 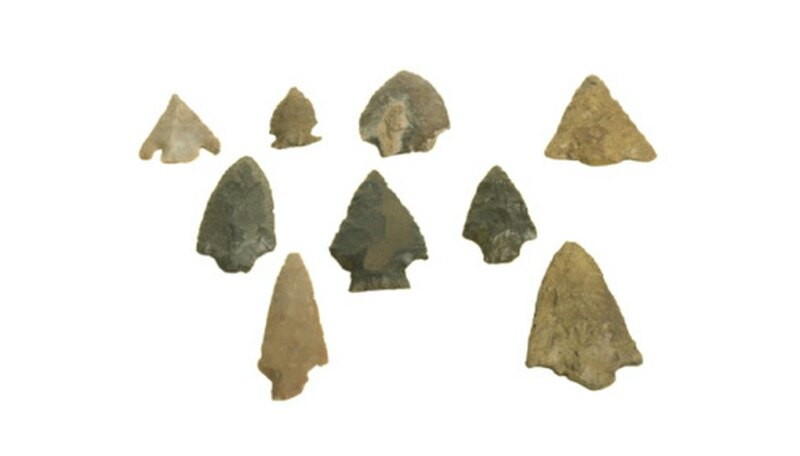 When the conditions of temperature and pressure were right during their formation, felsite, rhyolite and quartzite can have similar properties, serving as good flint knapping stones. Chert is a crypto-crystalline or amorphous sedimentary stone. It is found in oval nodules in dolomite, diotomaceous earth, greensand and limestone. 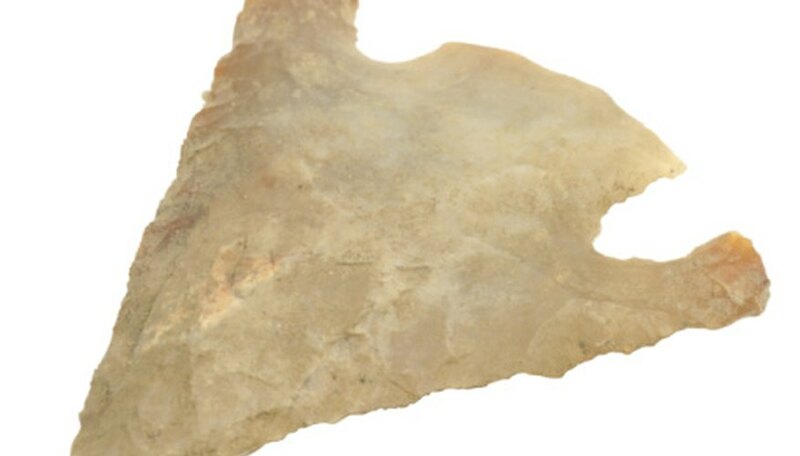 It is an excellent flint knapping stone to work with, but is generally an unattractive grey color. The presence of trace iron oxide, however, can impart an aesthetic red color. Obsidian is a widespread mineraloid stone that, when pure, is an attractive black color. It is incredibly sharp, many times more so than surgical steel; it is currently used in plastic surgery to reduce the incidence of scarring. It is also one of the easiest stones to knap. Although agate is not as readily available as other flint knapping stones, its superior hardness and distinctive natural banding make it both functional and beautiful. Agate is typically found as nodules in ancient lava, and is frequently hollow. Quartzite is a metamorphic rock, formed from sandstone transformed through the extreme heat and pressure applied by tectonic forces. 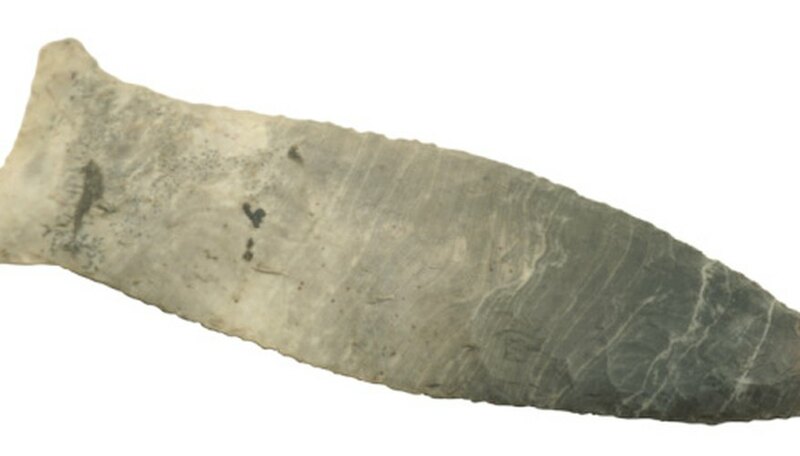 Orthoquartzite is the most desirable form of quartzite for flint knapping due to its lack of impurities. The very similar quartz-cemented quartz arenites are often confused with quartzite, but are not diagenitically altered enough to allow for the formation of the characteristic demiconical fractures needed for knapping.